It’s been known for some time now that Hyundai’s Genesis brand is ready to take on BMW, Mercedes-Benz and Audi. The Genesis G80 has already proven itself to be a worthy rival to cars like the BMW 5 Series, Mercedes-Benz E-Class and the Audi A6. So what about its newest entry, something to take on the famous BMW 3 Series, the Genesis G70? 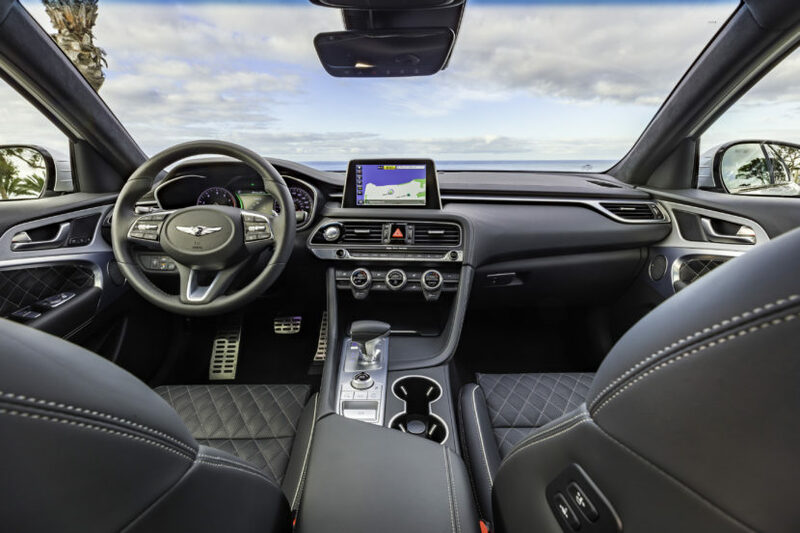 From the reviews that are now coming out, it sounds like the Genesis G70 has the goods to be a genuine competitor in one of the most fiercely competitive segments in the automotive world. While Genesis is an incredibly young brand, being only three years old, it’s done remarkable work for such a short time of existence. Its team of engineers in South Korea have shown the world they mean business and the G70 is the car they’re using to do it. The KIA Stinger was the first car to come from Hyundai/KIA to challenge the Germans in this segment, and performance admirably, but the G70 seems to be even better from what we’re hearing. The Genesis G70 is lighter, sharper and more dynamic that the Stinger, while also being more premium. Steering is said to be very good, with sharp reactions and solid steering feel. The front end is also said to bite well and turn in quickly. It’s also said to have a playful and dynamic chassis, more than capable of competing with the big Germans. There will be two engine options at launch — a 2.0 liter turbocharged four-cylinder and a twin-turbocharged 3.3 liter V6. The four-cylinder will come with either 252 hp or 255 hp, depending on whether you get the automatic or manual transmissions, respectively. That’s right, the Genesis G70 will have the option for a manual transmission, as well as the option for rear or all-wheel drive. Imagine that, a premium, rear-wheel drive sport sedan with a six-speed manual and it’s from a Hyundai offshoot? If you want the bigger twin-turbo V6, you’ll get 365 hp but lose the manual transmission option. With the V6 and eight-speed auto, the G70 get get to 60 mph in a claimed 4.5 seconds. Although, the heavier KIA Stinger is faster than that with the same powertrain, so we expect it to be faster than that. It also comes with a sort of “drift mode” if you get all-wheel drive, which will shunt most of the torque to the rear wheels to help throw some angles. This new Genesis G70 seems to be a very promising, very intriguing car, one that we think can be a genuine threat to the Germans. If someone’s in the market for a sport sedan and they’re looking at the lease price of a pretty base-model 3 Series or a really well-equipped G70, and the G70 isn’t really a drop off in terms of dynamics or fun, if it’s a drop off at all, only badge prestige and interior quality would send someone to a BMW dealer. Unless this new G20 3 Series is a bigger step up than we think.